For tastes that run from a juice-to-the elbows burger to something more on the lines of a fancy-schmancy, a dinner in Polite Society fits the bill. There are no pinkies up in Polite Society … unless that’s your thing. The restaurant’s Park Avenue location conjures swanky digs but one is as welcome to hunker down over a gooey grilled cheese as a delicate fish. Those with a penchant for mac and cheese will be quite pleased to tuck into a dish of creamy gruyere spätzle, while the seafood lover can appreciate Futrell’s rich take on shrimp and grits, or bright mahi ceviche with plantain chips. Everyone, it seems, is wild about pork osso bucco, which is served with goat cheese polenta. Perhaps nothing illustrates the balance yin and yang of Polite society quite like two of Futrell’s favorites: the ground chuck Jimmy Burger (complete with onion straws and a smoky glaze on a fresh pretzel bun) and Crispy Okabe, which features a soy-molasses-glazed tofu, stir-fried cauliflower “rice” and a cilantro-ginger pesto. 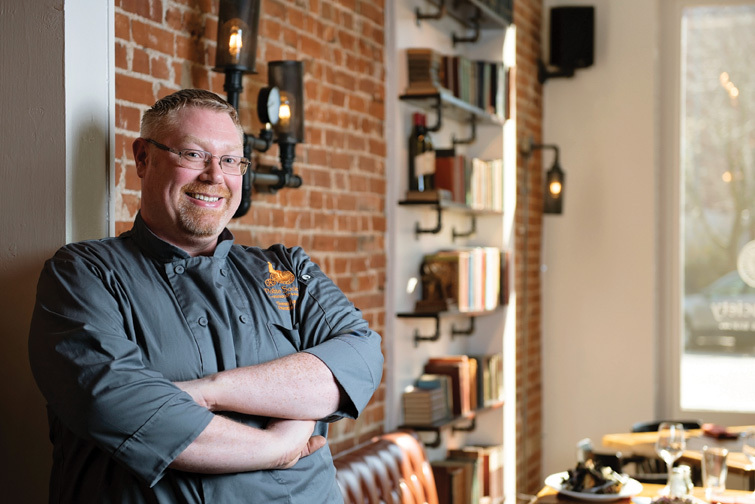 Learn the ins and outs on three of Chef Thomas Futrell’s dishes at the Cooking School on Wednesday, June 13, from 6:30-8:30 p.m. at Ferguson Bath, Kitchen and Lighting Gallery. 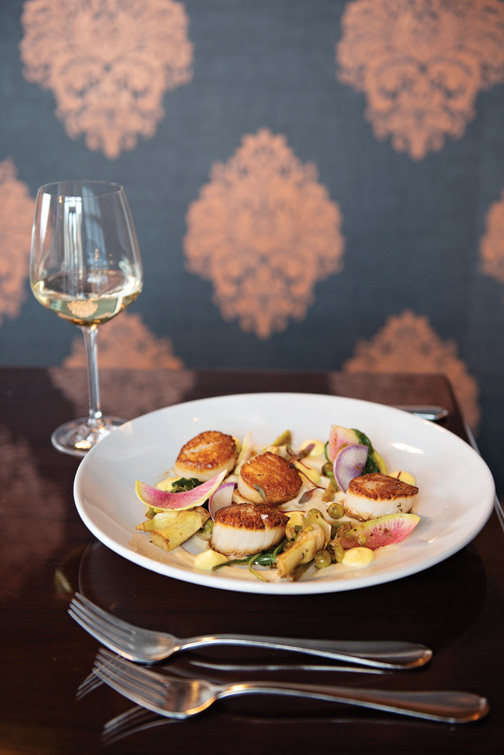 When: June 13, 6:30 – 8:30 p.m.
Diver Scallops: Perfectly seared scallops nestle on a pool of celery root puree in this savory dish. Students will learn how to blanch English peas to coax out the most vibrant flavor and color and make a citrus puree that brightens the whole meal. English Pea Tartine: English peas and citrus make a repeat appearance here in new ways. 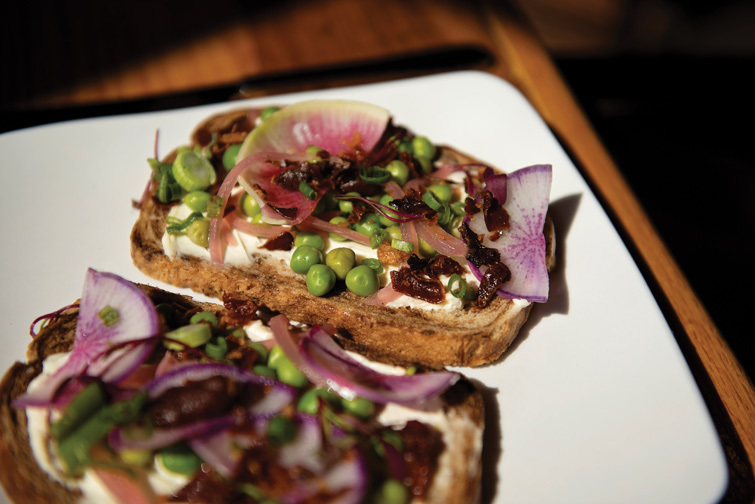 This open-faced sandwich features the diverse textures of fried speck, blanched green onions, citrus mascarpone, peas and shaved radishes on toasted rye. 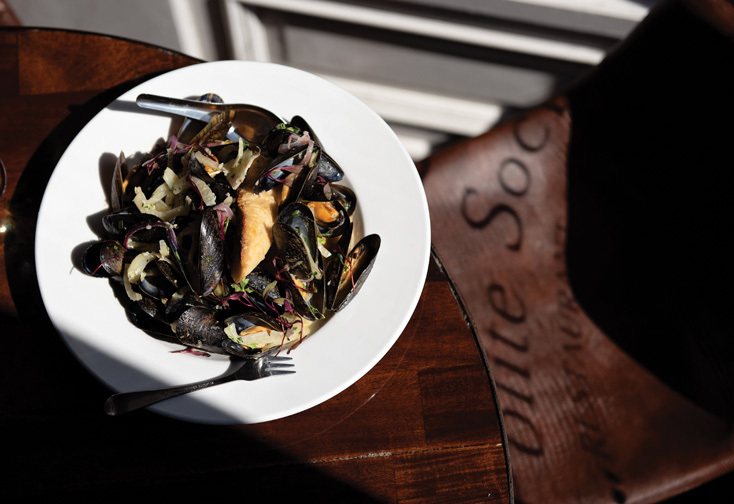 PEI Mussels: There’s no need to be intimidated by mollusks after this demo! Participants will learn proper mussel cleaning and steaming with white wine. Wine-citrus butter gives the shellfish their zing.